Latest News / FTA Finance named London Healthcare Broker of the Year! 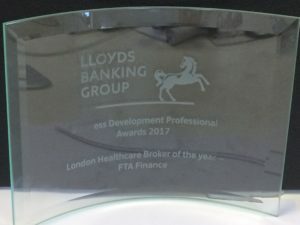 FTA Finance, leading provider of solutions to funding and finance needs within the healthcare sector, has been named as the ‘London Healthcare Broker of the Year’ in the Lloyds Banking Group Business Development Professional Awards 2017. The Business Development Professional Awards identify and reward excellence to those professional partners working within the healthcare sector. 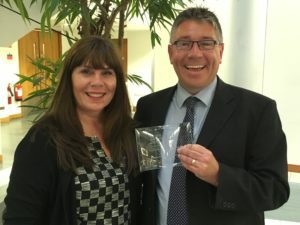 The 2017 awards were presented at an evening celebration held by Lloyds Bank Group on Tuesday 9th May at their offices in London.